Sequel of 'Spider-Man: Homecoming'. 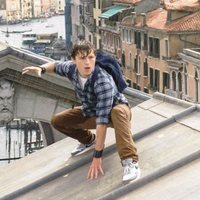 Our friendly neighborhood Spider-Man, decides to join his best friends Ned, MJ, and the rest of the gang on a European vacation, however, Peter's plan to leave super heroics behind for a few weeks are quickly scrapped when he begrudgingly agrees to help Nick Fury uncover the mystery of several elemental creature attacks, creating havoc across the continent. Tom Holland will return as Spider-Man and the movie will be directed by Jon Watts, ('Spider-Man: Homecoming'). Zendaya, Marisa Tomei, Jake Gyllenhaal, Cobie Smulders, Tony Revolori and Michael Keaton complete the cast of this new release of Spider-Man that will be produced by Sony Pictures and Marvel Entertaiment. 'Spider-Man: Far From Home' is the first movie of Phase 4 of the Marvel Cinematic Universe. Tom Holland "accidentally" gave away the title for this movie on a YouTube video. First Marvel film to feature transgender actors in major roles: Zach Barack and Tyler Luke Cunningham.